Inshore waters have their own very special appeal: exploring of beautiful landscapes via sailing boat or house-boat, mooring wherever you feel like, covering of lake- or river-miles with pure joy, getting to know country and people – and all that in many exciting regions. Some inshore waters are large enough for the sailor to cover longer distances and experience a real ocean-feeling: for example the Ijsselmeer and Zealand in the Netherlands or Lake Constance in the tripoint of Germany, Switzerland and Austria. 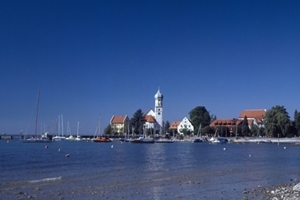 Sailing fun, albeit with shorter distances, offer other lakes like the Chiemsee, Ammersee and Lake Starnberg in Southern Germany or the Frankonian Lake Country as well as the Müritz with the Mecklenburg Lake District the east of Germany. Lake Como and Lake Garda lure with Italian pizzazz and Dolce Vita, in Austria at Lake Neusiedl the tepid water; dry summers, the wines from Burgenland and the vicinity to the Puszta are enticing. The Masurian Lake District offers lots of unspoilt nature, Lake Balaton in Hungary on the other hand, pure tourism infrastructure. On houseboats you can sail leisurely through the Havelland from Berlin and among other things explore Alsace-Lorraine starting in Lutzeburg, set off in Nieuwpoort to travel through the Belgium part of Flanders and discover Burgundy and Loire Valley, as well as Charente, Garonne and Aquitaine in France or else traverse on the Shannon-Erne-Waterway in the Northeast of Ireland from Ballinamore. 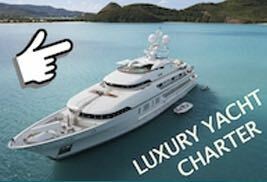 Whether you are in search of yacht hiring on inshore waters – for friends of the classical boat building tradition it should be mentioned that there also are boat hiring companies specialising on wooden boats – or house boat charter on rivers: Make sure to check out our Yacht finder or feel free to ask us.